Bainbridge /The Travel Exchange does not collect personal information of any kind without the prior knowledge of the client, or a travel agency acting on behalf of the client. We will use your personal information only for the purpose for which it is submitted. Pertinent client information will only be provided to our business partners and service providers as needed to confirm travel requests. All personal information will be treated in a confidential manner. Absolutely no personal information will be sold to a third party. RATES: Unless otherwise specified, all rates are per person in US Dollars. All prices are current at the time of posting and subject to change due to unforeseen changes in transportation or hotel availability, international exchange or tax rates. SERVICE FEES: Transaction fees may apply on certain itineraries. Additional fees may be assessed for some complex travel arrangements and for special services such as coupon processing, changes or cancellations. CANCELLATION POLICY: Any refunds for cancelled travel arrangements are at the sole discretion and subject to the policies of the suppliers. If suppliers have substantially different deposit and cancellation policies, they will be presented with your travel documents. Many travel tickets are non-refundable from the point of purchase. Clients could potentially lose everything and should purchase applicable Trip Cancellation Insurance. TRAVEL INSURANCE: We recommend Travel Insurance to all participants. Persons are often forced to cancel vacations prior to, or during travel due to unexpected injuries or illness. The Trip Cancellation Insurance covers deposits lost as a result of the above cancellation policies. Refunds are issued for cancellations due to injury, illness, or death in the insured’s family or traveling companion. Plus, this complete coverage program includes baggage loss, trip delay or interruption, emergency medical and more. Call for complete details on rates, request a brochure or purchase online. Responsibility: Bainbridge Travel/The Travel Exchange Inc. of Bainbridge Island, Washington and/or its agents act only in the capacity of agent for participants in all matters pertaining to accommodations, activities, and transportation whether by airplane, ship, railroad, bus, automobile or any other means of conveyance and shall not be liable for any injury, accident, damage, loss, delay or irregularity occasioned by neglect or default of any company or person engaged in conveyance of passengers, housing of participants or supplying of services in conjunction with Bainbridge Travel/The Travel Exchange Inc. packages. Bainbridge Travel/The Travel Exchange Inc. reserves the right to withdraw a package, to make changes in the published itineraries, or to refuse to accept or retain any person as a participant at any time, whenever in their judgment conditions warrant, or if changes are necessary for the convenience, comfort or safety of the participants. Neither Bainbridge Travel/The Travel Exchange Inc. and/or its agents are to be held responsible for the closing of access routes to or from resorts due to weather conditions or for weather which may close down resort operations nor are they to be held liable for any additional expense, consequence or inconvenience resulting from the above conditions. Bainbridge Travel/The Travel Exchange Inc. will not be liable for a payment of refund for unused housing, meals or activities occasioned by a late arrival, sickness or injury. All Bainbridge Travel/The Travel Exchange Inc. prices are based on tariffs in effect at the time of publication of sales and web literature, and are subject to reconfirmation when final payments are made. Pursuant to current state law, a number of details have been presented to you on invoices, travel documents, and marketing materials. They include our registration number, complete cancellation, deposit and payment policies, complete package inclusions, suppliers used such as transportation companies, specific hotels and resorts. We have made a conscious effort to be as clear as possible and comply completely with state law. 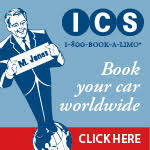 If you are unclear with any portion or detail of your trip, please call us. If you would like further details regarding the sellers of travel law, contact the Washington State Department of Licensing: (360) 586-0396. This statement is required by the state: If transportation or other services are cancelled by the seller of travel (Bainbridge Travel/The Travel Exchange Inc.) all sums paid to the seller of travel for services not performed in accordance with the contract between the seller of travel and the purchaser will be refunded within thirty days of receiving the funds from the vendor with whom the services were arranged, or if the funds were not sent to the vendor, the funds shall be returned within fourteen days after cancellation by the seller of travel to the purchaser unless the purchaser requests the seller of travel to apply the money to another travel product and/or date.